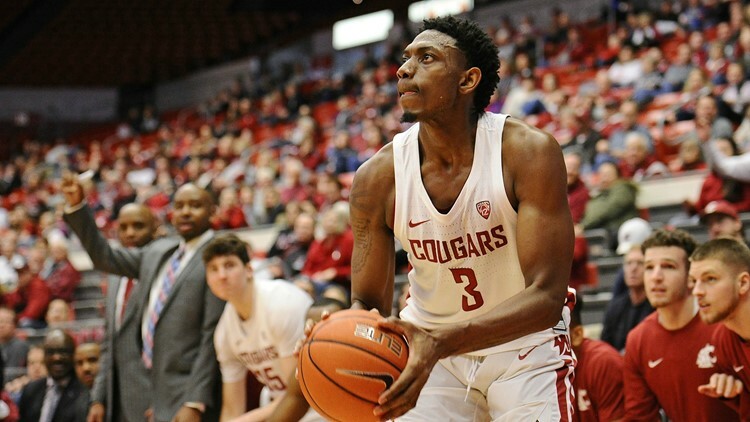 PULLMAN, Wash. (AP) - Robert Franks scored 22 points as Washington State beat Idaho 90-70 on Wednesday night. Freshman CJ Elleby had 20 points and eight rebounds for Washington State (5-2) and Ahmed Ali added 14 points in 18 minutes. Trevon Allen scored 17 points with seven rebounds for Idaho (3-5). Elleby scored 10 of the last 13 first-half points, giving the Cougars a 45-40 halftime lead. The Cougars went on an 11-0 run in the first four minutes of the second to push their lead to 16 points. Idaho trimmed its deficit to 62-52 but WSU hit four 3s in a 14-2 run that made it 76-56 with eight. Ali started the run with a 3, followed another by Viont'e Daniels. Franks drove the lane for an easy bucket and hit a 3 on the next possession before Ali ended the run with another trey. Washington State: The Cougars stay undefeated at home and will stay in the state of Washington for their next three games and then head to the Las Vegas Classic before returning home to face Santa Clara on Dec. 29. The Cougars, who finished 11th in the Pac-12 last season, open conference play at Rival Washington on Jan. 5. Idaho: The Vandals completed their road trip and will head back home for the next two contests looking to get back to .500 on the year. Idaho plays CSU Bakersfield on Saturday. Washington State plays Montana State on Sunday in Kennewick, Washington.